I don't know if the plan was always for a Hobbs & Shaw spinoff, but by the end of the-otherwise mediocre Fate of the Furious we were all demanding it. Somehow during that film it was Dwayne Johnson and Jason Statham whose chemistry stood out from the cast that has been around since the beginning. The teaming up of ex-rivals agent Luke Hobbs and bad guy Deckard Shaw doesn't make a lick of sense, but dammit who cares when it leads a trailer as badass as this? The first trailer for Fast & Furious Presents: Hobbs & Shaw (that title is still unacceptably pretentious) is like a damn superhero movie, with the two muscular stars squaring off against an Idris Elba who is literally referred to as "superhuman." Elba plays bad guy Brixton, who is so awful that Hobbs and Shaw are forced to team up, joining by Shaw's sister, Hattie, played by The Crown's Vanessa Kirby. Somehow they manage to cram in a ton of high-speed action in-between all of the one-liners. The film is directed by Deadpool 2's David Leitch, with Eddie Marsan, Roman Reigns, Eiza Gonzalez, and Cliff Curtis co-starring. 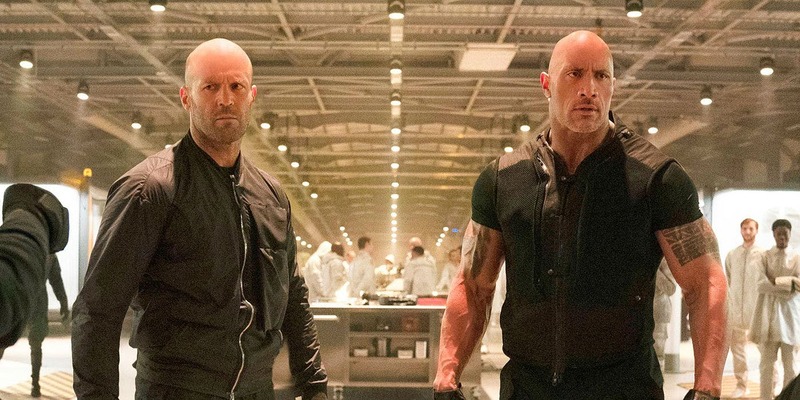 Now that Johnson has confirmed he, and likely Statham, won't be involved in the ninth core Fast & Furious flick it'll be interesting to see if Hobbs & Shaw, which opens on August 2nd, does better than it at the box office. You better believe Diesel and Johnson will be watching closely just for the bragging rights.